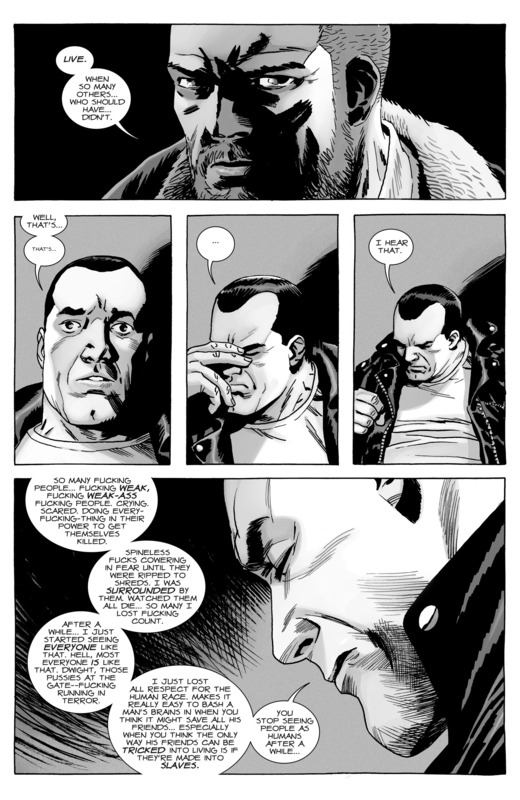 Aw, Negan. Stop. We might start to like you, and then you'll die horribly. lol I've been liking him since he gave Carl the tour of Sanctuary. 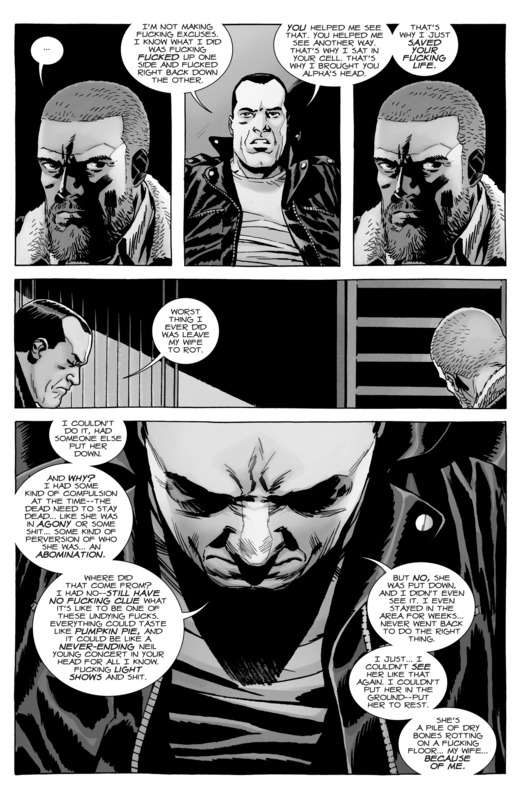 Funny thing is Kirkman was planning on killing him five issues in but liked writing him so much he kept him around. I was just thinking that. It's so common for writers to give a character awesome moments right before killing them off. Well, you heard the man, sisters and brothers. 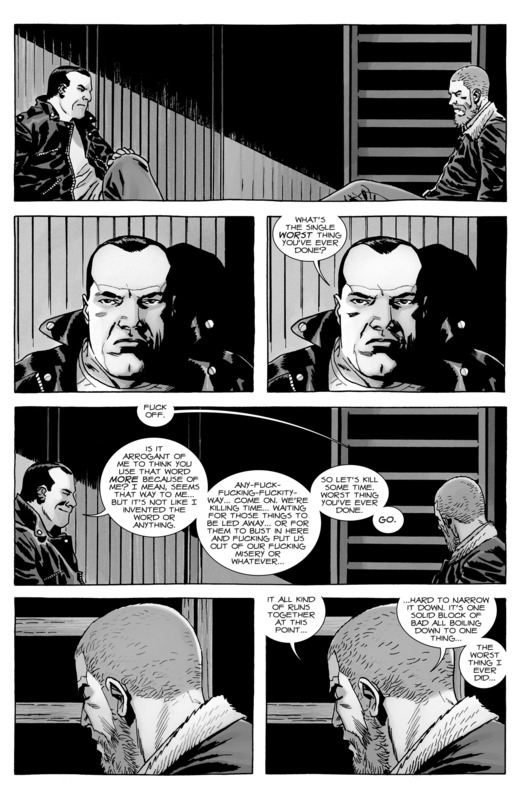 Negan/Rick is officially canon. All aboard this ship because it has sailed! I don't ready Walking Dead, but from these scans I'm impressed. normally when a run has gone on for this long, and has become popularised by a TV adaptation (the Walking Dead TV show being probably the most famous comics and long running comics adaptation ever) it easily becomes trite and pointless. But whenever scenes are posted they still appear very good and genuine to me. It's impressive, is all I'm saying. 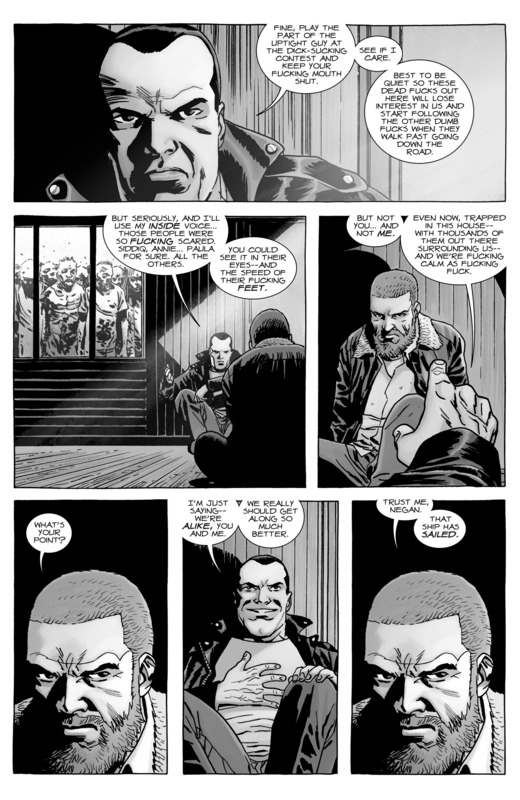 One thing I think Kirkman doesn't get enough credit for is that he's kept the comic its own thing as opposed to changing it up for synergy with the TV show. If this a Marvel series Daryl would have taken over the comic years ago.